QUT Design Lab champions STEM Girl Power Camp again in 2018. 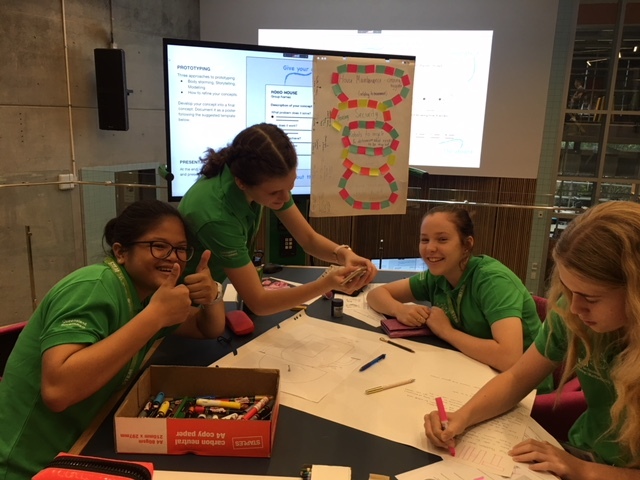 STEM Girl Power was on display at QUT on Friday 23 March 2018, as the QUT Design Lab again hosted a transdisciplinary campus workshop program for the final day of the annual STEM Girl Power Camp, coinciding with World Science Festival (WSF) activities in Brisbane. The 56 regional high-achieving Year 10 girls became designers for half a day to tackle some of the greatest global STEM challenges, through three hands-on workshops exploring wearable technologies, the future of robotics and plastics pollution. With employment in STEM growing two times faster than other occupations, the Camp is an important initiative of Advancing education: An action plan for education in Queensland. Organised through a partnership between the Department of Education’s State Schools Division and the Queensland Academy for Science Mathematics and Technology (QASMT), the Camp addresses the lower participation rates of girls in STEM subjects and careers, particularly in regional Queensland. “After a week of immersion in STEM during the World Science Festival, the QUT workshops gave the girls a great opportunity to explore real world applications of the STEM disciplines and widen their perspective on STEM careers, beyond what is available to them in their regional schools,” said Dr Kathy Mackey, QA Manager and Program Manager of the STEM Girl Power Camp. “Both the students and the teachers will return to their communities across Queensland with the tools to inspire others”, she said. Program Co-ordinator Natalie Wright, said that the camp allowed QUT Design Lab to showcase design’s critical role in STEM education, and highlight the great work that its researchers are doing in the three core research programs exploring design for ‘Health and Well-being’, ‘Technologies of Tomorrow’, and ‘Communities and Resilient Futures’. 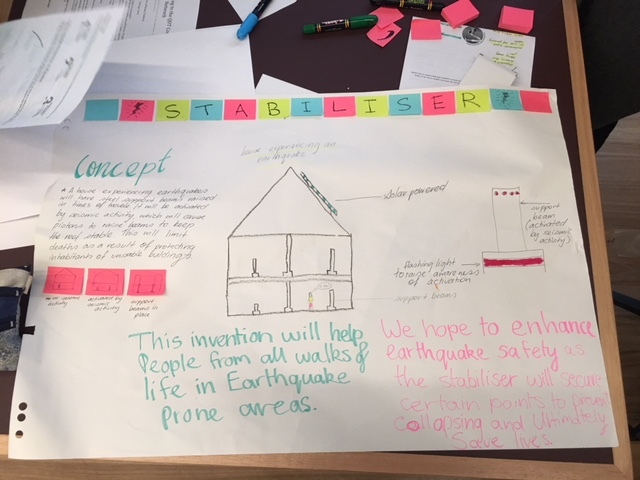 “The program was designed to ignite the passion for twenty-first century innovation and enterprise, and empower both the students and teachers as critical, creative and collaborative agents of change. It also exposes the girls to the QUT university campus and the feast of opportunities it offers them for future study”, she said. Dr Glenda Caldwell, Dr Jared Donovan, and Alan Burden facilitators of the Designing for the Future of Robotics workshop enjoyed sharing the Design in STEM experience with the diverse group of talented students drawn from across Queensland. “We were able to discuss a range of highly relevant issues in relation to robotics and the kinds of roles we want these technologies to play in future society. The students were incredibly bright, perceptive and brought an engaged criticality to the discussion”, Glenda said.